Despite newly appointed Attorney General Jeff Session’s unfounded proclamations that marijuana destroys families and lives, the steady march of medical marijuana successes and greater access to patients continues internationally. 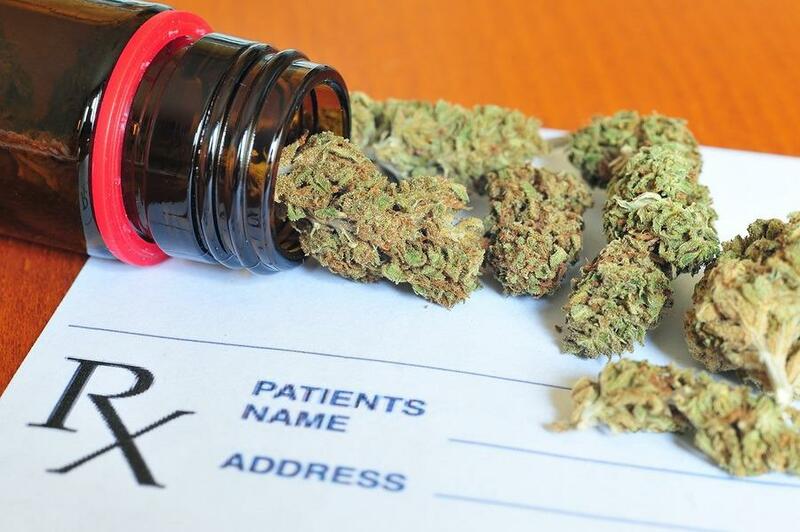 North and south of the U.S. borders, making medical marijuana available to patients who need it is making strong advances. Since its start in 2000, Canada’s nationwide medical marijuana system has evolved into a more accessible program for patients today, and 2018 is arriving with even more improvements. April 2017 is when Mexico’s Congress overwhelming passed a bill approved by its Senate last year to allow cannabis as medicine, allowing national research to proceed as well as decriminalizing its use among citizens. Mexico’s president Enrique Pena Nieto has fully supported this action, suggesting even more access to medical marijuana. Despite this and international research proving the merits of medical cannabis, our United States national government agencies continue promoting false “Reefer Madness” fears. (Source) A few years ago, Dr. Dustin Sulak created the Integr8 (not a typo) clinic network in Maine and Massachusetts to pioneer medical cannabis for pain issues and effectively resolving opioid pharmaceutical and street drug addictions. (Source) Dr. Sulak became an expert while pioneering this and other therapeutic cannabis approaches to the extent that he made it his mission to teach other clinicians how to administer cannabis for several health issues in addition to opioid addictions, which have become epidemic in America. His online educational system can be accessed here. A drug addiction recovery group in Los Angeles, California has adopted cannabis as the main medicine for rehab. This rehab group is called High Sobriety, a name fitting for its approach of using cannabis to be sober. Most drug rehab programs will drop recovering addicts who use marijuana. But High Sobriety doesn’t merely tolerate using cannabis to help through withdrawal to achieve total opiate drug addiction, it includes marijuana as an essential part of the program. High Sobriety co-founder Joe Schrank explains the program this way, Schrank was once an alcoholic who has remained sober 20 years after graduating successfully from Alcoholics Anonymous. (Source) Alcoholics Anonymous worked for him, but not everyone succeeds. Recent estimates show only a five to ten percent success rate with AA type programs for all types of substance addictions. This type of program is a zero tolerance abstinence only activity. Other similar programs for heroine or opiate drug addicts throw out participants who use cannabis. So it make sense that the High Sobriety experiment has had a few critics, even from those who also criticize AA type programs. It seems that the High Sobriety group should have referred those critics to Dr. Sulak in Maine to see their “experiment” has proven successful with his Integr8 clinics in that state and Massachusetts. Not only do AA type programs have a low success rate, so do medical drug rehab programs that use pharmaceuticals to wean addicts off opiates or alcohol. The official “harm reduction drug” for heroine addicts is methadone, which is full of drawbacks and side effects, including addiction and even death. Contrary to popular belief, cannabis is not physiologically addictive and not using cannabis for any stretch of time does not cause painful withdrawal symptoms. Also, cannabis is no more a gateway drug than milk, even though it’s easy to illogically point out that most heroine addicts and alcoholics once drank milk. According to Amanda Reiman, a former manager of marijuana law and policy at the Drug Policy Alliance, As far back as the late 1800s, hemp was denoted as a cure for opium sickness. High Sobriety is not a state or federally supported rehab center, and it is expensive. Years long animal research in Germany’s University of Bonn in Germany with the assistance of the Hebrew University in Jerusalem, Israel demonstrate that low level chronic cannabis with THC halts brain deterioration from aging. After determining that older mice memory and other brain dependent performance improved, the researchers examined the mice brains. They were surprised to find the molecular signature was not that of older animals, but very similar young animals. The number of links between the nerve cells in the brain had also increased. Science minister of Svenja Schulze North Rhine-Westphalia, the German state where Bonn University is located, commented, California research is also onto reducing or reversing dementia, including Alzheimer’s disease, with cannabis. The Scripps Research Institute of California determined in 2006 that THC prevented amyloid plaque from forming. It’s uncertain whether amyloid plaques and neurofibrillary tangles cause Alzheimer’s or are a symptom of the disease but there is correlation and connection. More recent research at the Salk Institute for Biological Studies in California has gone one step further, showing that cannabis THC also inhibits the inflammation of nerve cells where plaque and fibrillary tangles occur: Coconut oil consumed liberally also has had much anecdotal success with seniors’ senility and Alzheimer’s. So why not combine cannabis and coconut oil? All of this research is fine for getting cannabis a foothold in officially sanctioned medicine in the U.S. Unfortunately, official medicine tends to support only synthetic extracts that can be patented for profit while ignoring the vital supporting cast of marijuana plant compounds, cannabinoids, and plant terpenes, which are part of a variety of cannabis plants. There is already anecdotal evidence supporting what officially recognized research is trying to prove and the anecdotes are coming from folks using whole plant cannabis. See the following articles: DEA head Chuck Rosenburg has claimed more than once over recent years that “medical marijuana is a joke.” This boy and his mom in the video below, among probably hundreds of thousands of others, strongly differ.